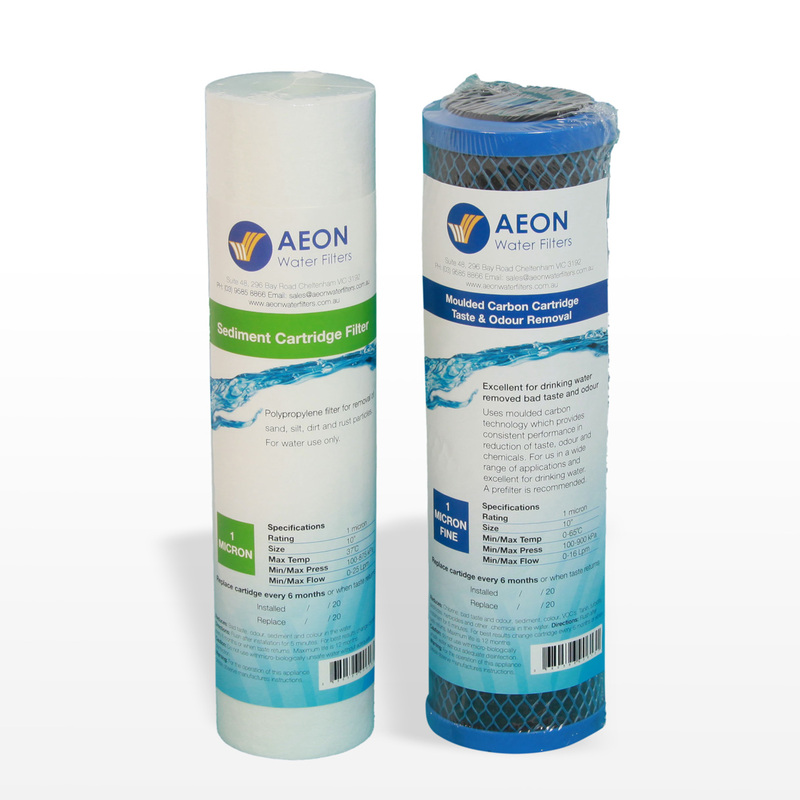 Aeon provides a superior range of carbon cartridges which uses the latest leading edge technology available. 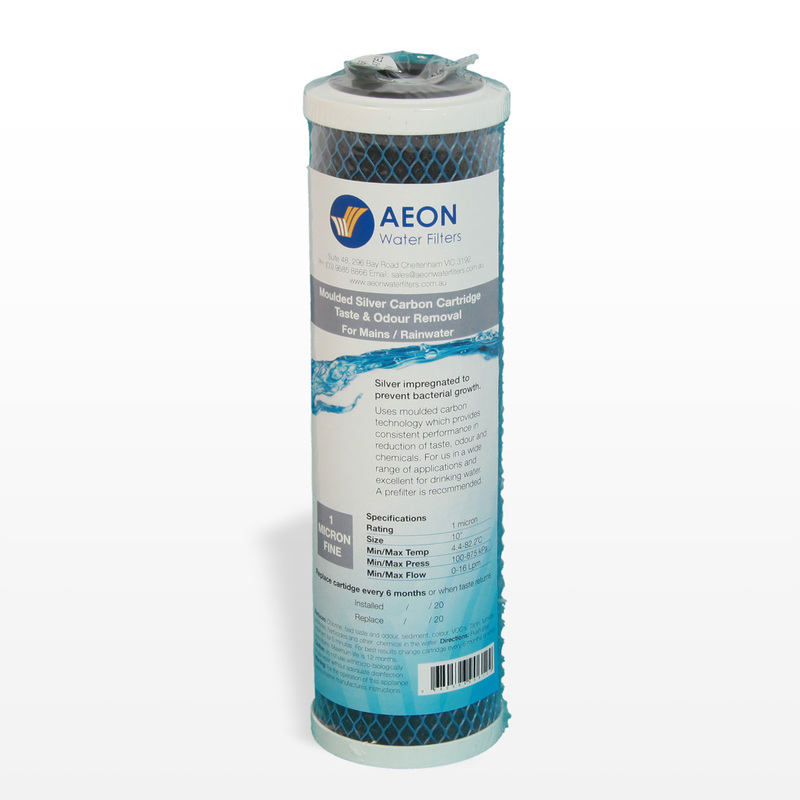 The cartridges are constructed from bonded activated carbon, offering a superior treatment of water with minimal release of carbon fines. 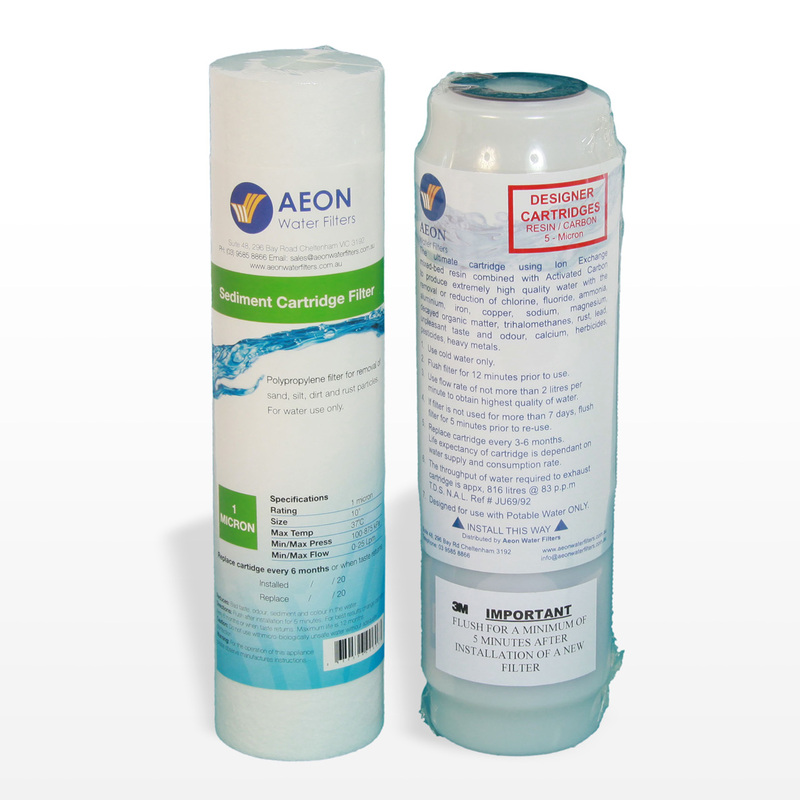 Carbon cartridges are highly effective in reducing, taste, odour, chlorine and sediment (also available in long life granular format). 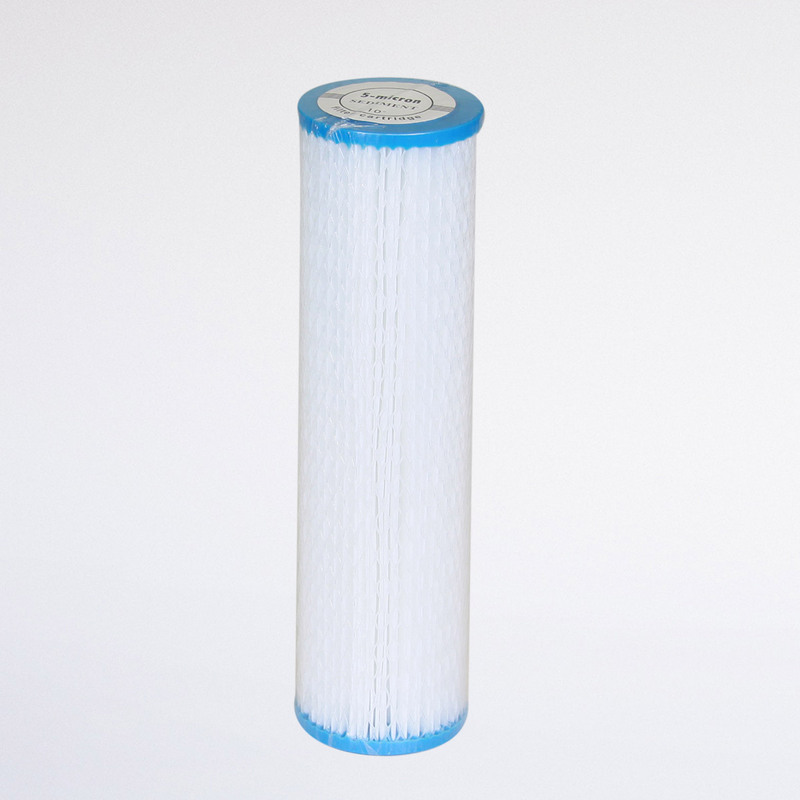 The cartridge life expectancy ranges from 6–12 months or 2000 Litres and is dependent on the quality of the water supply and the consumption rate. 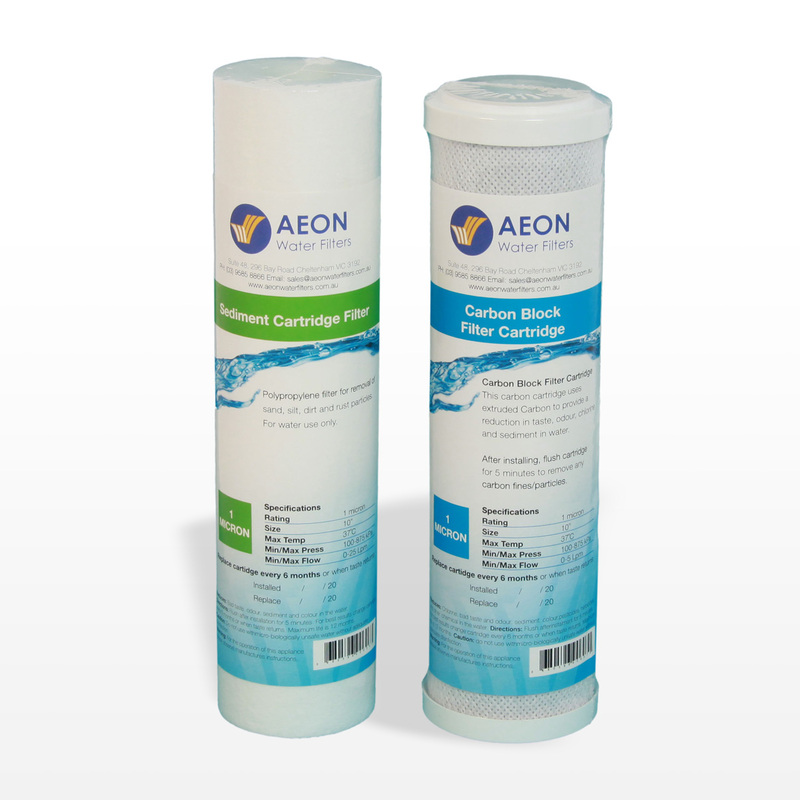 Carbon block cartridges are available in 0.5 1, 5, and 10 microns.To purchase cartridges with micron options other 1, please purchase the cartridges individually from our cartridges section.